Home remedies of black magic, how to remove dark energies from home, office, person with simple home remedies. Now a days black magic is becoming popular due to increase of lust, greed, self centred nature of people, unfair competition, jealousy etc. But the user of black magic/kala jadu don't know the dangerous impacts of this process. A person do black magic only in case of not having proper knowledge of this subject. In my previous articles related to this subject I have already cleared about the ill effects of black magic. So it is a request to not use black magic to fulfill wishes of any type. Read about Spirit Possession Protection Ways. Now in this article I am providing some easy ways or home remedies which a person or victim of black magic can perform to get protection. But if this must be done when you are confirmed that you are really suffering from black magic/kala jadu. And it is also suggested to do any upaay or remedies only after having proper consultancy. For some knowledge I am providing the details below. Suppose if any one is not having proper sleep in night due to any fear or shadow effects then do this- Get a charged Mahakali yantra and put it below your pillow. It will protect you from negativity. You can also sprinkle rai and raw salt around your bed, it will also prohibit bad energies. If you think that at a particular time some negativity disturb your life then it is good to put dot/tika of sindoor of hanumanji on forehead and keep it always. If you feel that on any particular day you suffer from any type of black magic impact or Najar dosha or evil eye effects then do utara on that day evening. For that do take a lemon and move it 21 times from head to feet and then cut it into 4 pieces and throw it out. If your whole family is affecting by black magic then do sprinkle holy water and gaumutra regularly from amavasya to poornima i.e. from no moon night to full moon night and also give dhoop of gugal or loban. This will help you. If any one suddenly found detachment from any place, home, shop then do check for any odd thing near by you or in your home , office etc. If you find then do burn it at once and sprinkle holy water and give dhoop. This will remove black magic effect at once. If you are continuously facing black magic problem and if you are not having fund for pooja or to buy kawach etc then do take a Mauli/Kalawa of your height , now fold it 4 times to make it short now do chant any mahakali mantra or durga mantra and make 7 knot on it, after that pray for protection to mahakali and then wear it. This will protect you. So here I have given 6 simple and easy home remedies to cure black magic, if you do heartily and pray to god or goddess for protection then no doubt you will be protected. And if you want proper analysis and powerful remedies only for you then do contact ASTROLOGER AStroshree (black magic remedies provider). Get the best kawach from astrologer for protection against kala jadu/black magic. 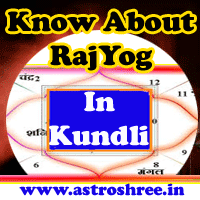 Get the proper analysis of your birth chart/horoscope/kundli. Get the best gems stones for you to make your strong. Know best tips of protection from black magic. Home remedies of black magic, how to remove dark energies from home, office, person with simple home remedies, Consequences of Black Magic.